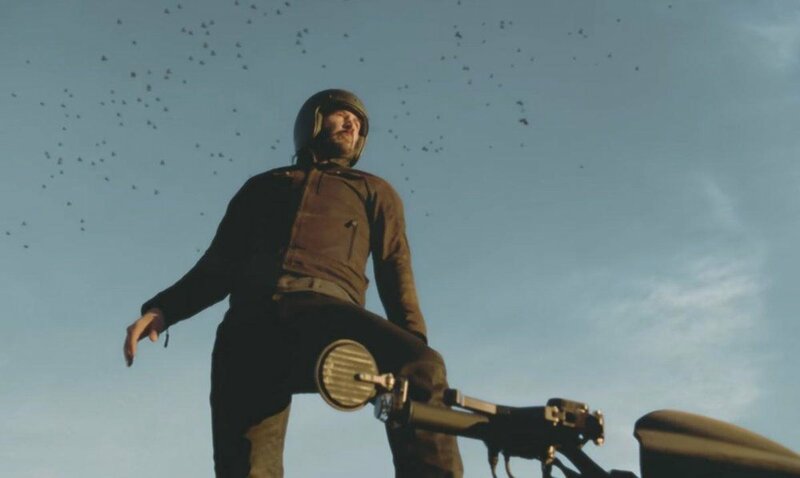 It might not come as a surprise that Keanu Reeves was 100 percent on board with the idea of standing on top of a motorcycle that would barrel down an open stretch of endless road at 45 miles per hour in the middle of the desert in Lancaster, California. When Squarespace presented the idea (which would go on to be the premise for the brand’s fifth consecutive Super Bowl ad) to Reeves, his first question wasn’t about stunt doubles, or how they’d superimpose his face. Rather, he wanted to know how they’d pull it off. Because yes, Reeves is actually standing on top of a moving vehicle in that ad, contrary to what you might think. Sure, he’s harnessed in, but that bike is indeed moving at around 45 miles per hour, and he is indeed standing on that moving bike. 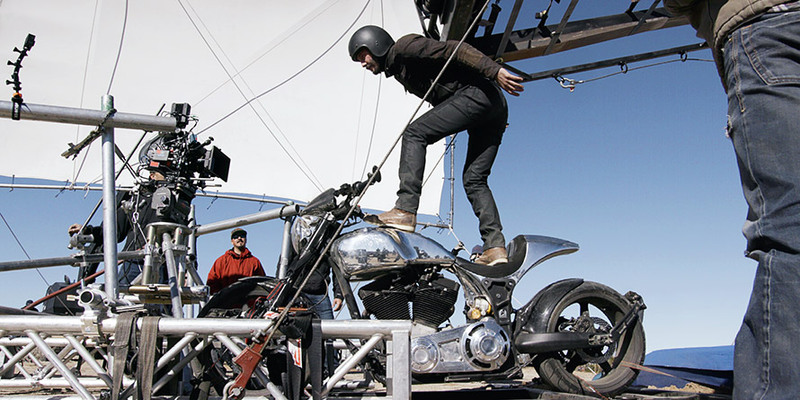 Squarespace needed its production company partner, Reset, to build a custom rig for the shoot so the motorcycle could actually move on the ground. It’s worth noting that the man who made this particular stunt famous, Indian Larry, died performing it. Larry passed away in 2004 after attempting the risky move. Reeves knew all about Indian Larry and the famous attempt when Squarespace’s in-house creative team, which is behind this year’s spot, presented the idea. Lee added that “most people don’t know” about Reeves’ sense of humor because he’s “so reserved and he’s not out there in the public.” “He is probably the most humble person with a pretty sharp sense of humor,” Lee said. In a previously released Squarespace film that clocks in at nearly three minutes, Reeves sits in front of a burning fire in the middle of the desert. At one point, he’s sitting in said desert at night, hands behind him, chest thrust up towards the sky. He raises his head up to the moon and starts howling—almost barking—like a wolf. That lovely moment (around the 2:05 mark) was Reeves’ idea. There was only one thing that made Reeves hesitant: In order to capture all the shots on film, the team needed to have a helicopter flying overhead for each of the 12-or-so takes. To get the best shot possible, that helicopter had to get pretty up close and personal with Reeves while he was surfing on top of the bike. “We had this pilot who could be three to four meters away from [Reeves], but he wanted it to be just a bit further,” Sandra Nam, director of creative production, and head of Squarespace’s content studio, said. In the end, the helicopter got the perfect shots, and Reeves is happily alive and well to see the final ad air during Super Bowl LII.